Thomas Laxton was a plant breeder who introduced many new varieties of strawberries, and worked with Charles Darwin in experiments on peas. The nursery that he founded, carried on by his descendants for many generations, became famous for the apple varieties that it introduced. 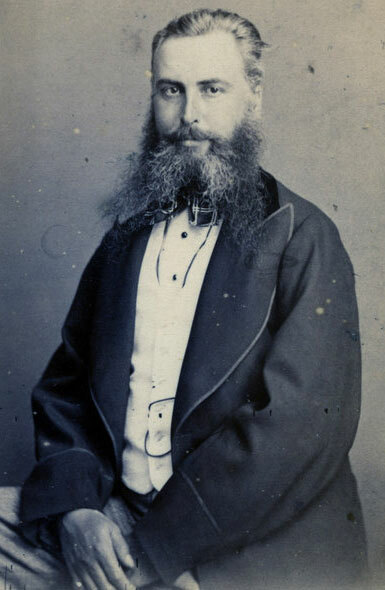 Thomas was born 1830 in Tinwell, near Stamford, Lincolnshire. He began his work as a plant breeder in 1865, interested mostly in peas and strawberries. He started his plant breeding in Stamford, then later moved his operations to orchards and fields in Bedford, Bedfordshire and in nearby Girtford in Sandy, Bedfordshire. He consulted with Charles Darwin on pea-breeding experiments. Laxton was, in fact, close to the genetic discoveries that Gregor Johann Mendel (20 July 1822 – 6 January 1884) would make around the same time. The business was carried on successfully by sons and grandsons, who adjusted the name of the business to “Laxton Bros (Laxton Brothers. )” The business had 140 acres for trials and growing, and a shop in Bedford at 63 High Street. Most of the apple varieties that came out under the Laxton name came out under their watch, and they introduced a further 47 varieties of strawberries. In 1897, the company put out a book called “The Strawberry Manual” (published by Hulatt & Richardson.) In 1937, Winston Churchill ordered raspberry plants from them for his Chartwell estate in Westerham, Kent, at a cost of £2 13s 7d. In 1957, both the store and the nursery business were closed. The orchards have all been built over now. It’s not certain what happened to the assets and the intellectual rights: they may have been merged with another nursery at the time called “Laxton & Bunyard Nurseries Ltd” that still existed in Brampton, Huntingdon (Cambridgeshire) as of 1969. The town of Bedford has since created a Community Orchard in which it has planted many of the Laxton varieties. Two of the most well-known apples introduced by Laxton’s are Allington Pippin and Peasgood Nonsuch. Other apples introduced by Laxton’s are: Barnack Orange, Laxton’s Advance, Laxton’s Early Crimson, Laxton’s Epicure, Laxton’s Fortune, Laxton’s Favourite, Laxton’s Herald, Laxton’s Leader, Laxton’s Pearmain, Laxton’s Peerless, Laxton’s Reward, Laxton’s Royalty, Laxton’s Superb, Laxton’s Triumph, Laxton’s Victory, and Lord Lambourne. 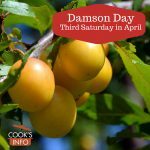 The company also introduced plum varieties such as Early Laxton, Laxton’s Gage, and Laxton’s Supreme. “So, again, Mr. Laxton, who has had such great experience in crossing peas, writes to me that “whenever a cross has been effected between a white-blossomed and a purple- blossomed pea, or between a white-seeded and a purple-spotted, brown or maple- seeded pea, the offspring seems to lose nearly all the characteristics of the white-flowered and white-seeded varieties; and this result follows whether these varieties have been used as the pollen-bearing or seed-producing parents.” — Charles Darwin. The Variation of Animals and Plants Under Domestication. Volume II. Chapter 2. XIV. “Recently Mr. Laxton has made numerous crosses, and everyone had been astonished at the vigour and luxuriance of the new varieties which he has thus raised and afterwards fixed by selection. He gave me seed-peas produced from crosses between four distinct kinds; and the plants thus raised were extraordinarily vigorous, being in each case from 1 to 2 or even 3 feet taller than the parent-forms, which were raised at the same time close alongside.” — Charles Darwin. The Effects of Cross and Self-Fertilisation in the Vegetable Kingdom. Chapter V.